Seller's Note/ So why is a brooch listed in Roman Military? During the 4th cent AD, the amphora motif became very popular as strap or belt ends with Roman soldiers. 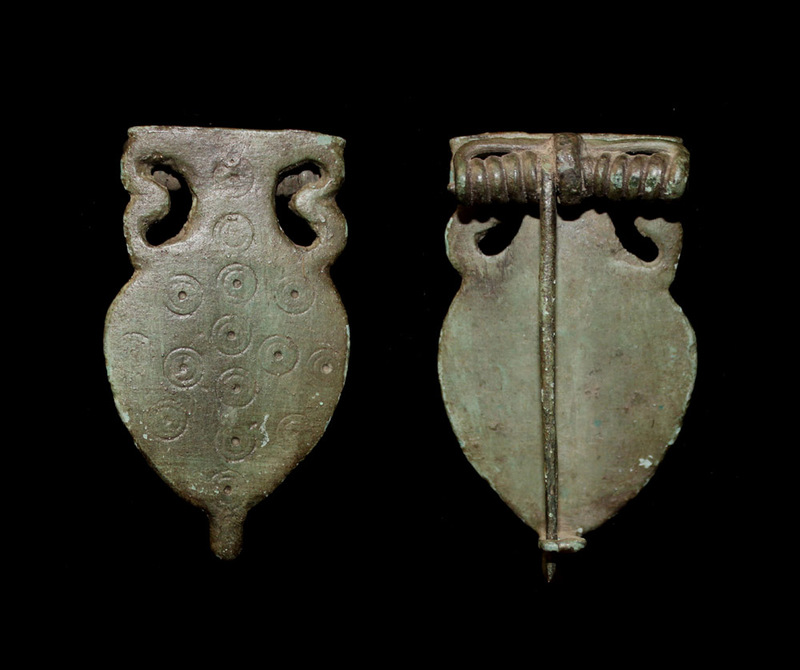 In the case of our amphora-style brooch, it was certainly worn by a soldier to match his belt end. FYI - This is a 'first time listing' of an amphora brooch here on NRC. We never knew that such brooches existed but in retrospect it makes complete sense. 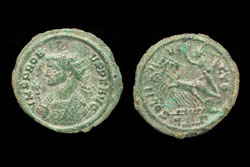 Perfect for any Roman militaria or brooch collector. Rare!